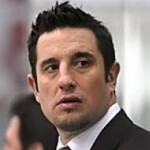 HockeyProspect.com is a great place to to gain experience as a hockey scout. We have assisted many of our scouts in their progression to scouting jobs with teams. We receive a large number of resumes every month from people interested tin scouting for us. Our service is only as good as the scouts we have on our team. For this reason we tend to be “picky” about who we add. If we can’t trust your reports, than you are obviously not much use to us and we would be wasting each others time. We are always open to the idea of adding quality scouts to our team. If you feel you have an eye for talent, great work ethic and a high level of hockey knowledge, use the form below to contact us. *Please note any related experience you may have if you are contacting regarding a scouting position. If you hit the submit button when you are finished and the submission appears to have failed, don’t worry, we are getting the submissions. Currently we only have volunteer scouting positions available, are you still interested? Which team(s) games can we expect you to attend if we were to add you to our team of scouts? Approximately how many games do you think you could scout on average each week? 5+ per week - I live in the rinks! This is only an estimate but it gives us an idea of your availability each week/month. We have been working on developing a training course during the month of July for the past several summers. Are you on twitter? You can enter your handle here.